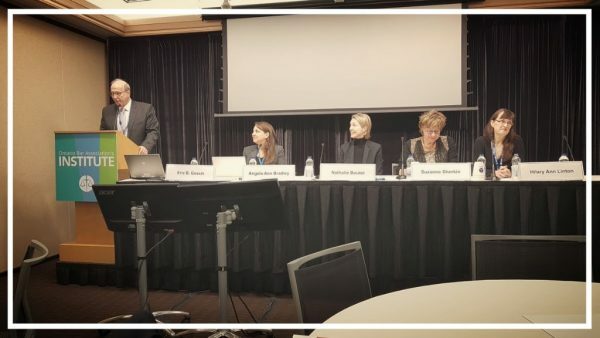 Speaking at the OBA Institute on Neuroscience and ADR on February 7 was no exception. Suzanne Sherkin of Highborn Communications taught me that our brains take short-cuts to the familiar, and that this can be limiting. For example, I did not know that the English language has ten times as many negative words as positive ones, and that the use of these words can send our brains to the familiar places of stress, negative stereotypes and biases. She explained that to ensure our unconscious biases to not sabotage us, we need to be conscious of what they are and of what our minds and bodies are doing when we are unconsciously moving into fight-or-flight mode. Apparently, it takes about 20 minutes for one’s amygdala to calm down once it has been hijacked, a useful fact for mediators. Suzanne noted the importance for DR professionals to use language that primes our clients for effective negotiation, and also to make sure our spaces and processes feel safe for each client— something we pay a great deal of attention to in our confidential intake and screening processes at both Riverdale and mediate393. Nathalie Boutet of Boutet Family Law and Mediation taught me that taking care of ourselves is equally important as taking care of our clients. Seemingly simple things like ensuring you get enough water, healthy food, rest, and exercise can help you more predictably manage high conflict in your practice. Nathalie also taught us that when a mediator or lawyer has a strong and clear intention for what can be accomplished, that intention can create positivity in expectations for yourself and others in the room. In essence, she said that we can actually decide “who” we want to be and bring that intent into our work. Great leaders, she said, understand brain science and they plan accordingly. My presentation flowed from what Suzanne and Nathalie taught us. I spoke about how negotiation power is a matter of perception, and that the strongest negotiators are those who perceive their alternative to a negotiated agreement to be better than the other person perceives theirs to be. I spoke of how good mediators take time up front to get to know each client, use the kind of skills Nathalie and Suzanne talked about and provide them a “safe place” to share what their concerns and procedural needs are. This is how the mediator, arbitrator or collaborative team can better assess whether the process can be made to work well for them and, if so, how. Although we ultimately want to ensure we have identified predictable risks such as domestic violence and lethality (known in family law to be predictable and preventable in many cases if current screening knowledge is applied by the mediator, collaborative professional or arbitrator), any disproportionate perceptions of negotiation power tend lead to impasse and bitter feelings, I explained. The mediator’s top job is to understand how each person perceives that power balance and to help them find what they need to see it differently, if that is possible. We had some great audience questions and participation in group discussions on these challenging topics and I think we all learned something. 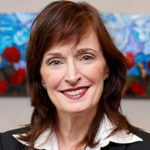 Hilary Linton is a Toronto lawyer, mediator, arbitrator and teacher. After litigating family and civil disputes for 14 years, she started Riverdale Mediation which is internationally recognized for high quality dispute resolution services and innovative ADR training. Hilary has been honoured with the inaugural James G. McLeod Professorship in Family Law at Western University Law School, and the Ontario Bar Association Award of Excellence in ADR in 2014. She has taught many ADR courses as an adjunct professor at Osgoode Hall Law School, Western Law and Toronto Advanced Professional Education. ← The Promise of Family Mediation-Arbitration: Is it Real? 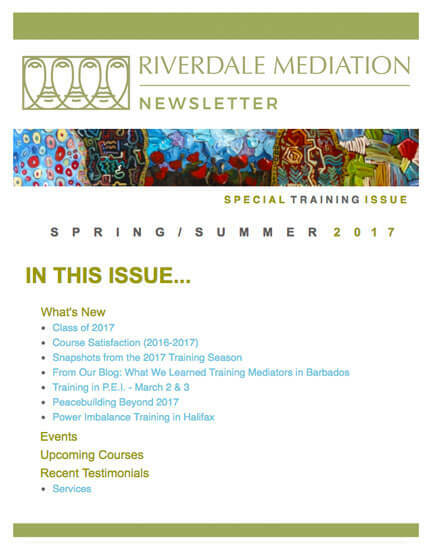 Subscribe for news and updates from Riverdale Mediation. Schedule an appointment, book a speaker, or ask a question. Interested in becoming a mediator, or need to complete some professional development hours? Copyright © 2019 Riverdale Mediation Ltd. All rights reserved.